A new paper by McKitrick, McIntyre and Hermann is being discussed. David Stockwell and Jeff Id have threads, and there is now one at Climate Audit and at James Annan. 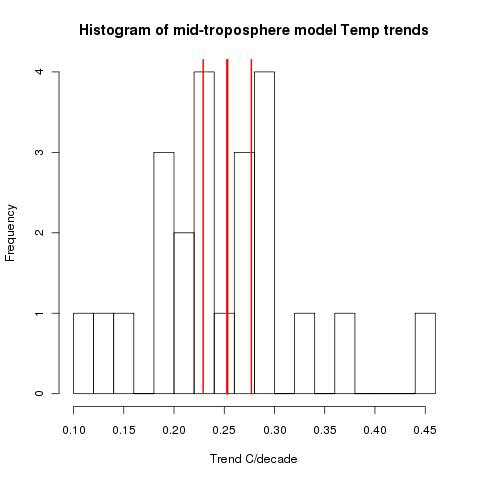 An earlier much-discussed paper by Santer et al comparing models with tropical tropospheric temp observations contended that there was no significant difference between model outputs and observation. MMH say that this is an artefact of Santer using a 1979-2000 period, and if you look at the data now available, the differences are highly significant. In discussion at the Air Vent, I've been contending that MMH underestimate variability in their significance test. They take account of the internal variability of both models and observations, so that each model and obs set has associated noise. But they do not allow for variance between models. 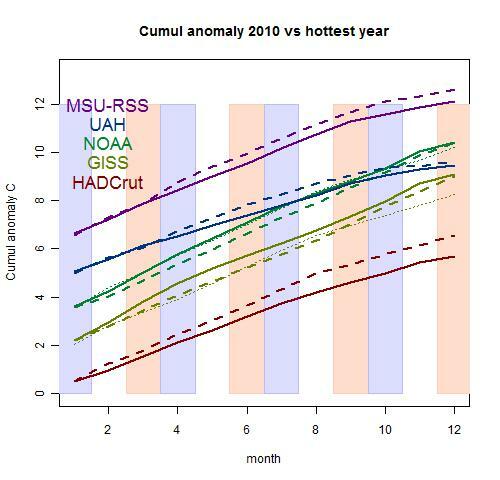 I said that this restricts their conclusion to the particular set of model runs that they examined, and this extra variability would have to be taken into account to make statements about models in general. However, it's clear to me now that this problem extends even to the analysis of the sample that they looked at. 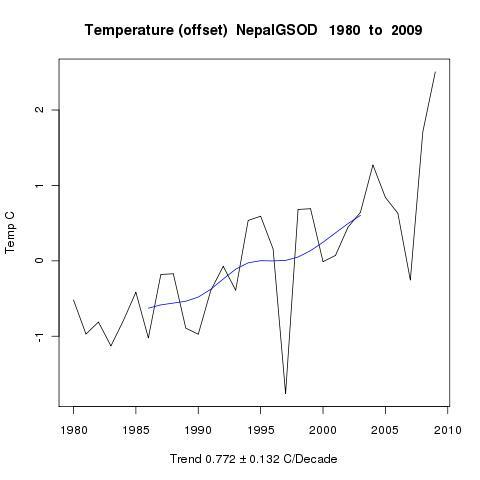 They list, in Table 1, the data series and their trends with standard error. The first 23 are models. 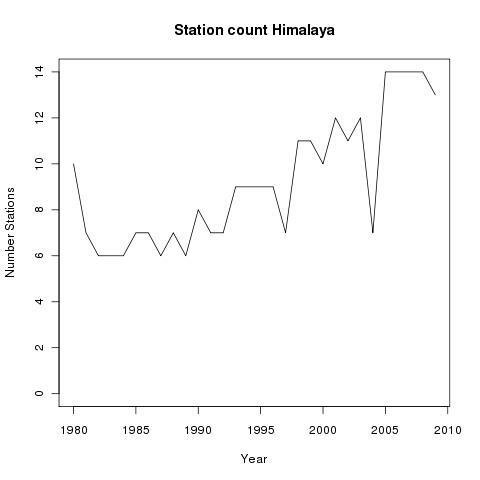 In Figs 2 and 3 they show the model mean with error bars. I looked at the mid-trop (MT) set; in Table 2 they give the mean as 0.253, sd 0.012, and indeed, with error bars 0.024 that is what Fig 3 seems to show. So I plotted Table 1 as a histogram. Here's how it showed, with the mean and error bars from Table 2 MMH marked in red. The key thing to note is what James Annan also noted. The models are far more scattered than the supposed distribution indicates. The models themselves are significantly different from the model mean. Update: Of course, the error bars are for the mean, not the distribution. But the bars seem very tight. A simple se of the mean of the trends would be about 0.022. And that does not allow for the uncertainty of the trends themselves. 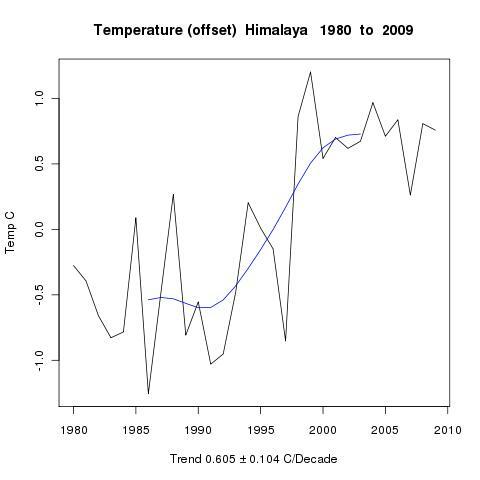 Update 2: As Deep Climate points out below, that last update figure is wrong. A corrected figure is fairly close to what is in MMH's table. However, Steve McIntyre says that the right figure to use is the within-groups variance - some average of the se's of the trends of each model. That does seem to be the basis for their figure. I think both should be used, which would increase the bound by a factor of about sqrt(2). 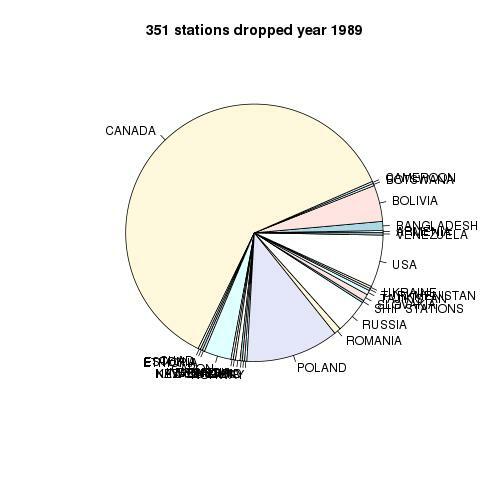 As I noted in the previous post, a new post has appeared at WUWT which talks a lot about the reduction in station numbers in GHCN that occurred between about 1990 to present. This post is based on a paper by Ross McKitrick. The stream of articles that advance various theories about this reduction don't take proper account of the way GHCN was actually compiled. It was initially a historical process, where in the early 90's with grant funding people gathered together batches of historic records, recently digitised, into a database. 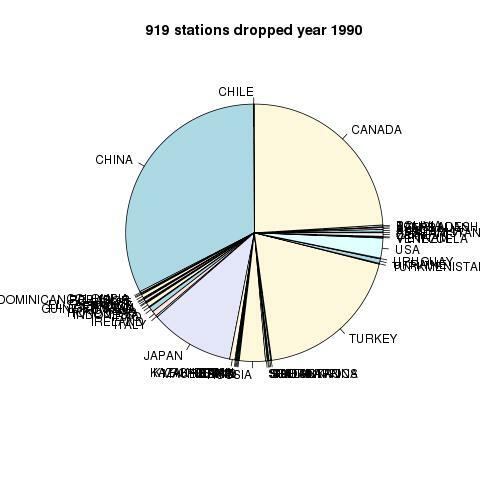 After V2 came out, in 1997, at some stage NOAA undertook the task of continuing monthly updates from CLIMAT forms. This made it, for the first time, a recurrent process. Update: Carrot Eater, in comments, has pointed to a very useful and relevant paper by Peterson, Dann and Phil Jones. As he says, the process wasn't quite as I've surmised. I should also have included a reference to Peterson's overview paper. The big reduction followed changes of policy in going to a recurrent process. 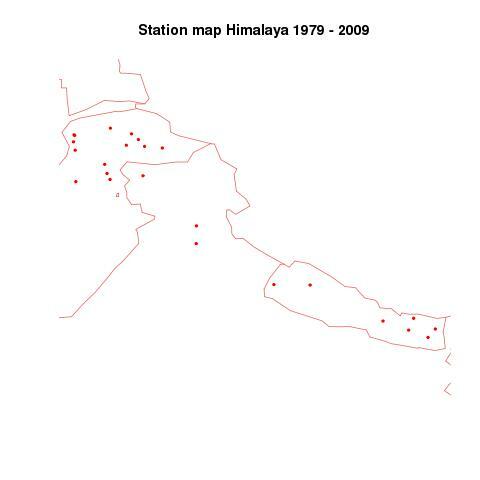 As a batch process, it didn't really matter if the geographic spread was uneven. If the records were available, they could be included. 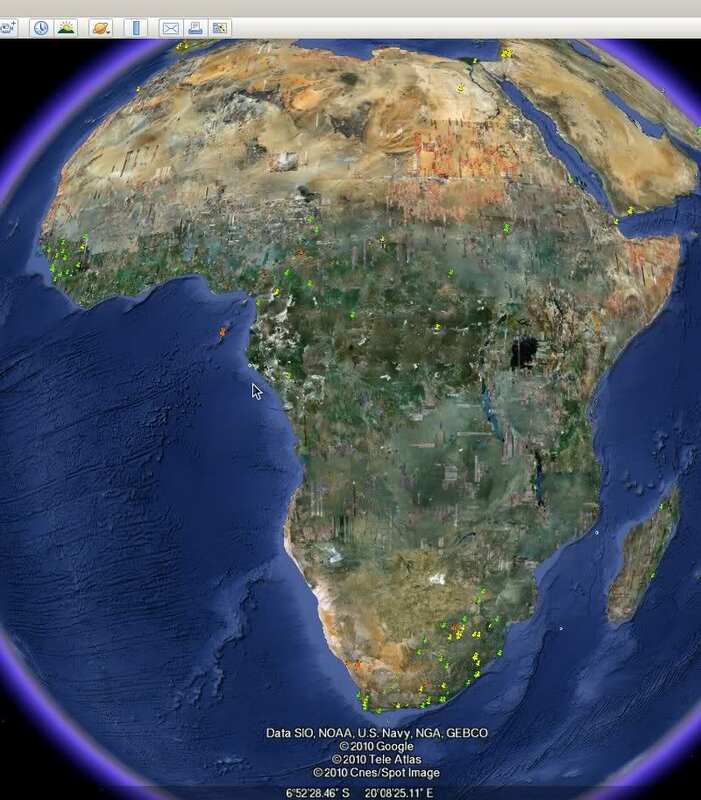 But as a recurrent process, it makes sense to spread the effort of updating reasonably evenly worldwide. This makes the pattern clear. 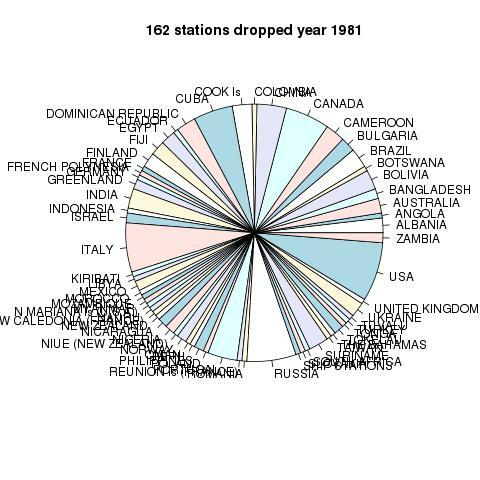 Australia, Canada, China, S Africa, Turkey and USA had been overrepresented, and were culled in specific events. Canada in 1989/90, Turkey and China 1990, S Africa 1991, Australia 1992 and the USA in 2004 and 2006. 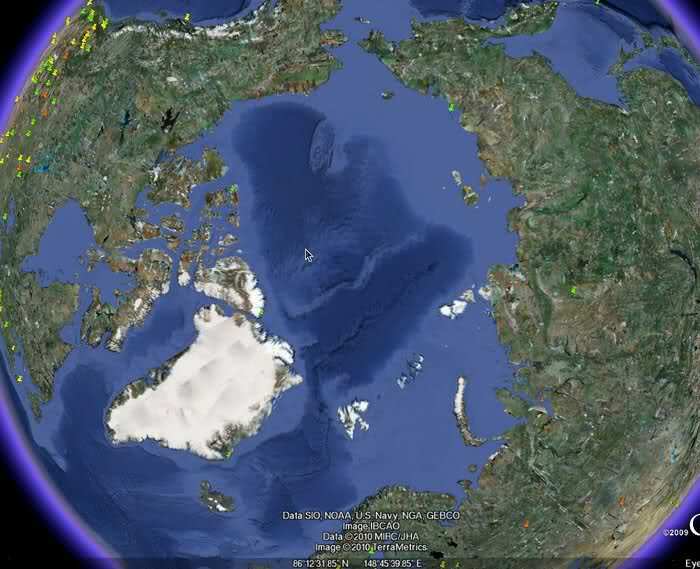 The case of the US is special, because the USHCN database is also used. 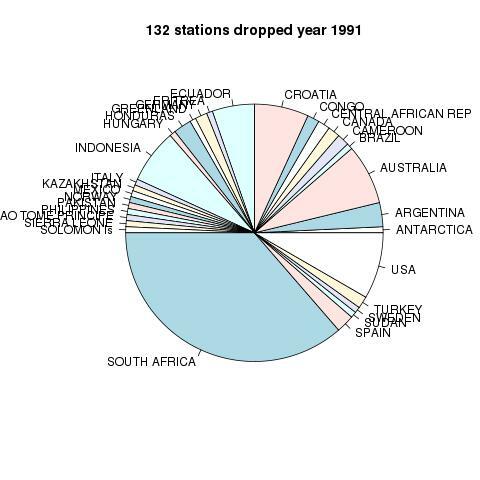 So when it is said that the reductions produced a reduction in average altitude or latitude, that reflects the fact that some of these countries are relatively high, and are (mostly) from temperate latitudes. Of course, explaining how and why the reduction happened doesn't remove the possibility of biasing a trend estimate. That's another story. 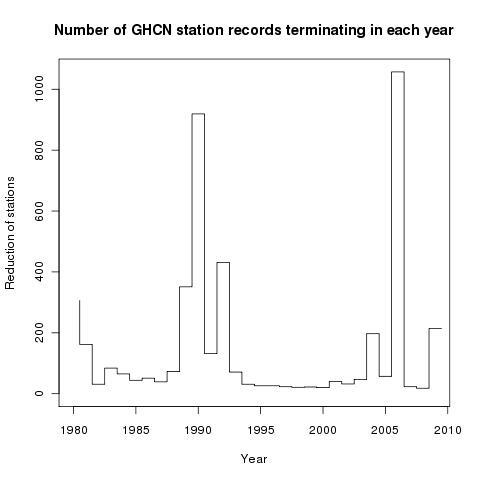 At WUWT there is a post about Ross McKitrick's discussion of supposed defects in GHCN, focussing heavily on changes in the stations in the dataset between about 1990 and 2005+. 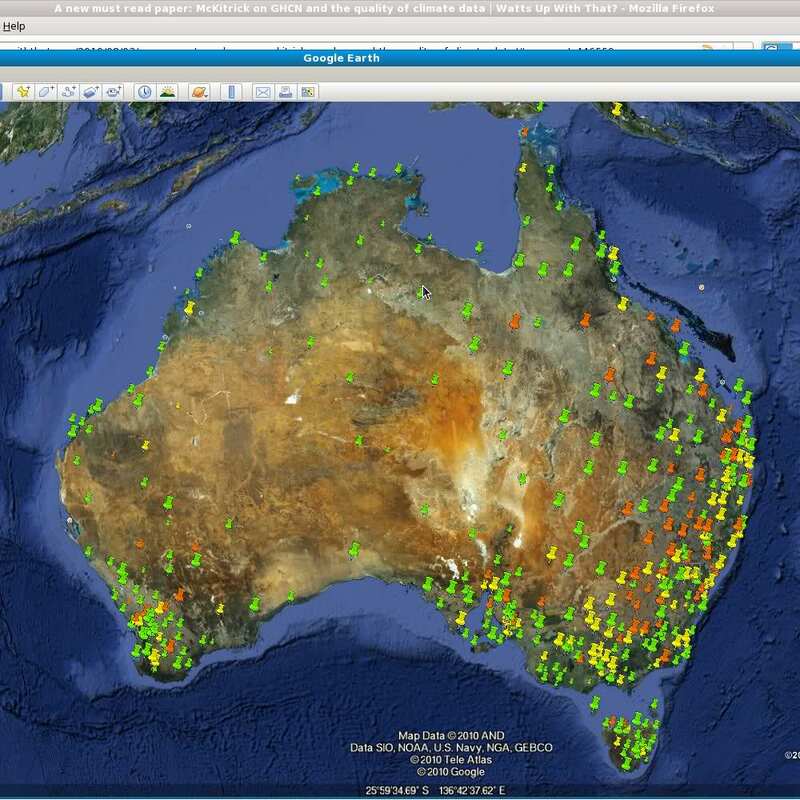 So I've made some KMZ files so interested people can see in detail what those changes were. 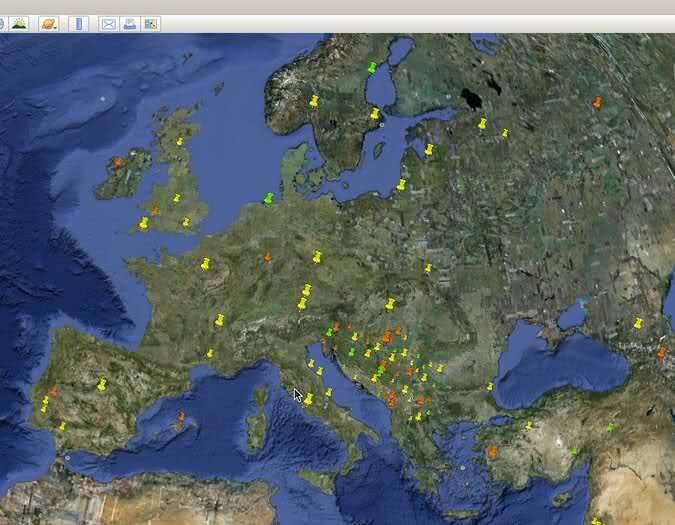 Color - rural stations are green, urban yellow. Orange is a small town. Size. Big pins have >50 yrs data. 70% pins have >20 yrs, and 40% have less. 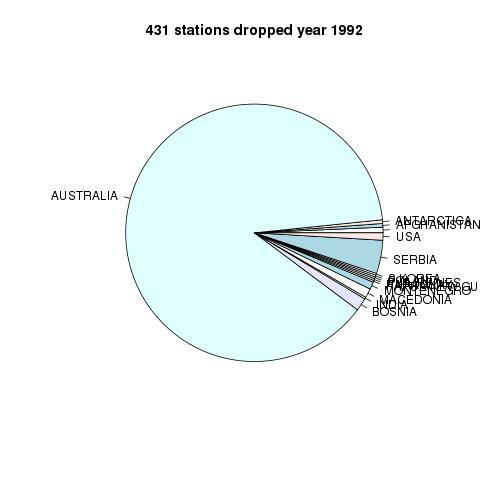 Balloon - clicking on a station gives a balloon with several data items, including years of reporting. 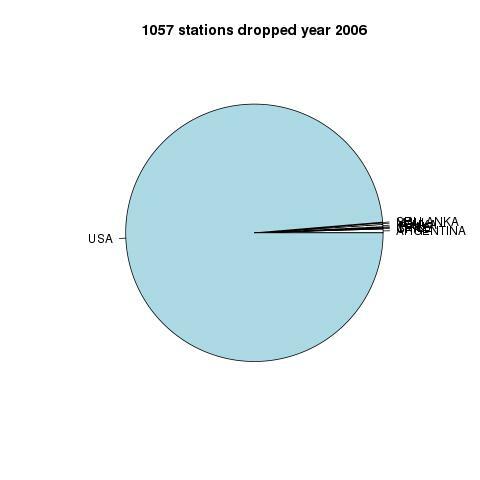 There weren't many stations added, so you might want to skip the last two files. Below the jump, I'll add some still pictures from GE. 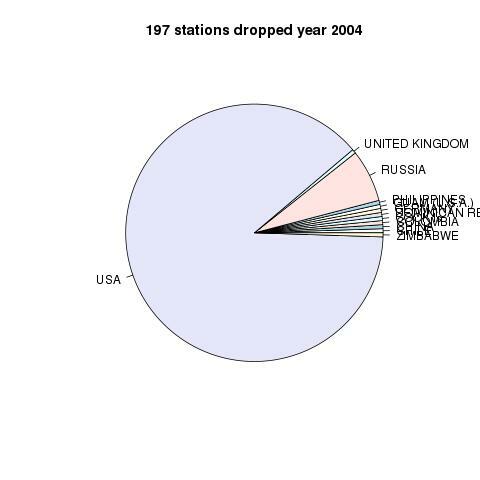 Between 2001 and 2007 the big change was US numbers - tied in with the interaction with USHCN, which GISS incorporates separately.